For those who would rather not sit through the whole hangout (and I really can’ t imagine why you wouldn’t since it was very interesting), I’ve taken the time to index some of the more interesting topics discussed during the hour. Click on the topic below to go to that part of the hangout. 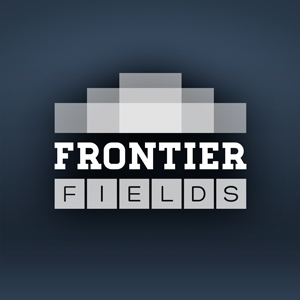 Why is the survey called Frontier Fields? How/Why does dark matter contribute to cluster lensing? How do we know dark matter is in these clusters? How do we ‘see’ it? Will the James Webb Space Telescope be able to see these clusters? Why are distant galaxies not visible at optical wavelengths? Why are they in the infrared? How are the Frontier Field observations taken? How long will Hubble stare at these fields? How will the lensed and distorted galaxies be de-lensed? Please stay tuned for more Hubble Hangouts on the Frontier Fields as the project progresses. We are planning more hangouts that discuss the role of dark matter in the Frontier Fields clusters, how to get the data yourself from the Hubble archive, and much more!